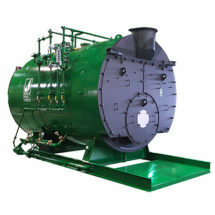 For many years, there were two choices in the industry - a 4-pass dry backed boiler, or a 3-pass water backed boiler. A 4-pass would have a higher efficiency and higher maintenance costs associated with frequent refractory repair, while the 3-pass water backed required less maintenance and offered less efficiency. 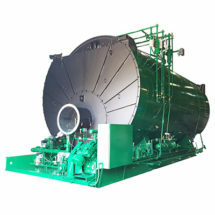 That all changed in 1978 when Johnston introduced the first packaged 4 pass water backed boiler. Now, a customer could have the best of both world’s – water backed reliability with 4 pass design efficiency.